The Dakota Midland Trail is 73 miles of Snowmobile trail in NE South Dakota. When enough snow has fallen, the trail is groomed regularly and maintained by the Aberdeen Driftbusters. 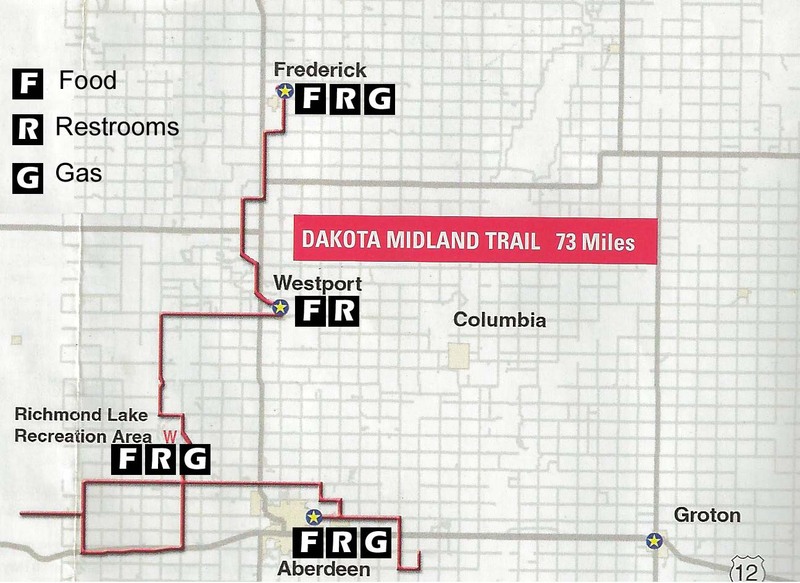 If you have suggestions, ideas or general comments on the Dakota Midland Trail, please fill out the form on our Contact Us page. For current trail conditions or other snowmobile trail maps go to the South Dakota Game, Fish and Parks snowmobile trail map page. Click map for larger view.